VAIA Technologies has designed and integrated an Automated Inspection System for a major feminine care manufacturer to inspect stacks of feminine pads for the correct pad count before they are packaged into bags. The Automated Inspection System was integrated with a 3rd party packaging system. The client had been using a check-weighing device to count a set of pads. Unfortunately, the weight of an individual pad can fluctuate enough such that a package of pads could still contain more or less than the desired count, despite being within an acceptable weight range. The ideal location in which to inspect the pad count is in the bagger itself, inspecting the stack count just prior to the pads being pushed into a bag. The primary goal of the Automated Inspection System is quality assurance (correct count in the bag). Using a proprietary inspection algorithm, a generated line of light is applied to the compressed stack of pads. Two cameras provide 1) an operator view of the inspection area, aiding in a visual overview, useful for overall setup and monitoring and 2) the image used by the machine vision system and proprietary inspection algorithm to analyze the deformations in the projected light to determine the pad count, ensuring that the count is monitored for every bag. Since the bag loading process cannot be interrupted, the VAIA and client systems work together to provide the pad count and track each filled bag as it moves along the conveyor, ejecting bags that were detected as initially having the wrong pad count before these bags make it to the case packer and are shipped to the consumer. Figure 1 – Operator image of pad stack in bagger. Figure 2 – Analyzed Automated Inspection System image of pad stack in bagger, providing the expected 10-pad count. 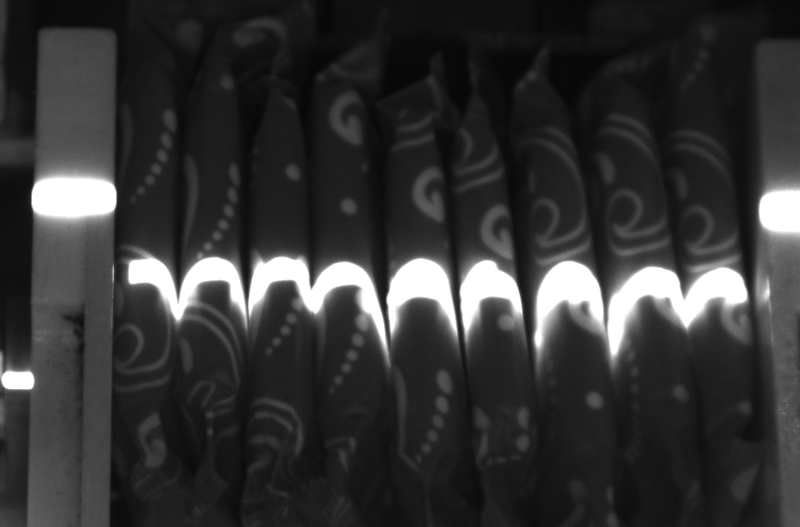 In this case, the proper number of pads is detected and reported. Figure 3 – Analyzed Automated Inspection System image of pad stack in bagger, providing the expected 10-pad count. In this case, the proper number of pads is detected and reported. 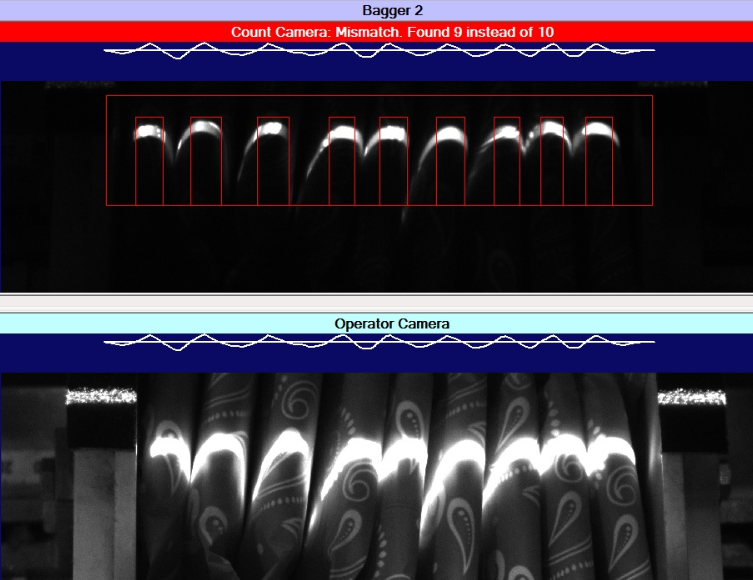 Figure 4 – Analyzed Automated Inspection System image of pad stack in bagger (top), providing an unexpected count of 9 pads. The operator’s view is shown below. In this case, the improper number of pads is detected and automatically reported so that the bag may be tracked and ejected prior to entering the case packer. Click Here to more learn about VAIA’s expertise in the Consumer Product Packaging.